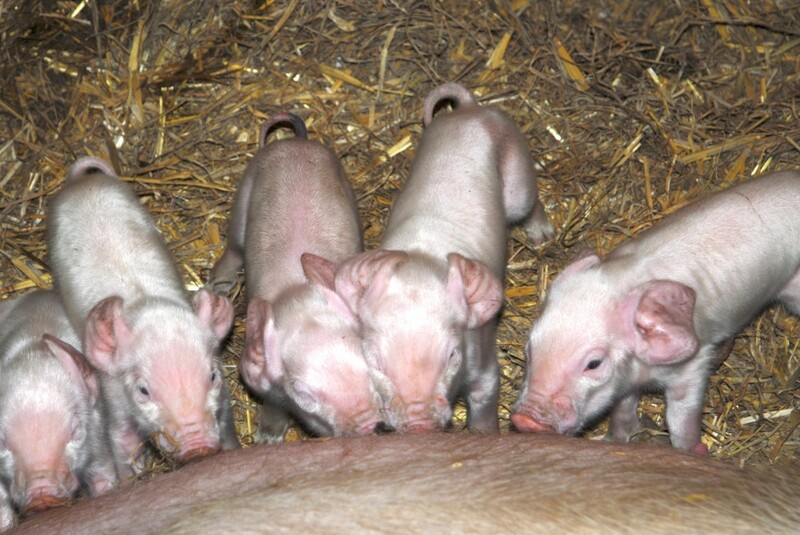 The Llama Park has two lovely Welsh cross Saddle Back pigs. 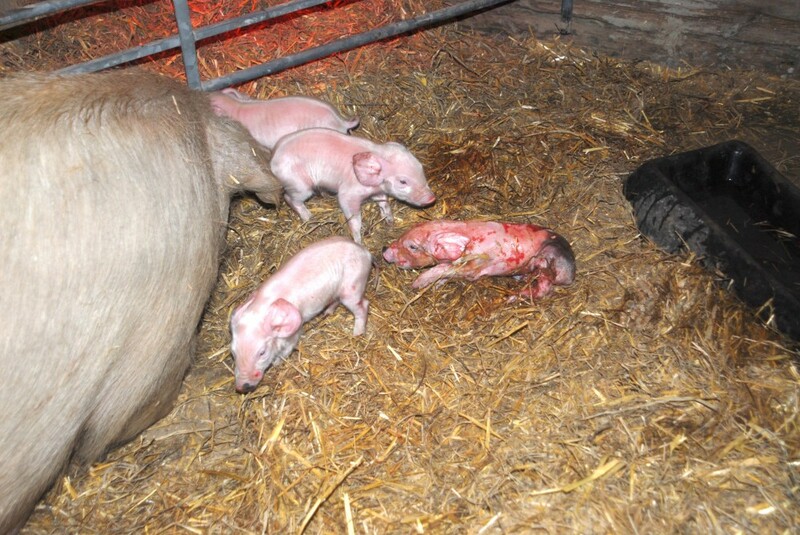 The boar is called Bugsy and the sow is called Rita. 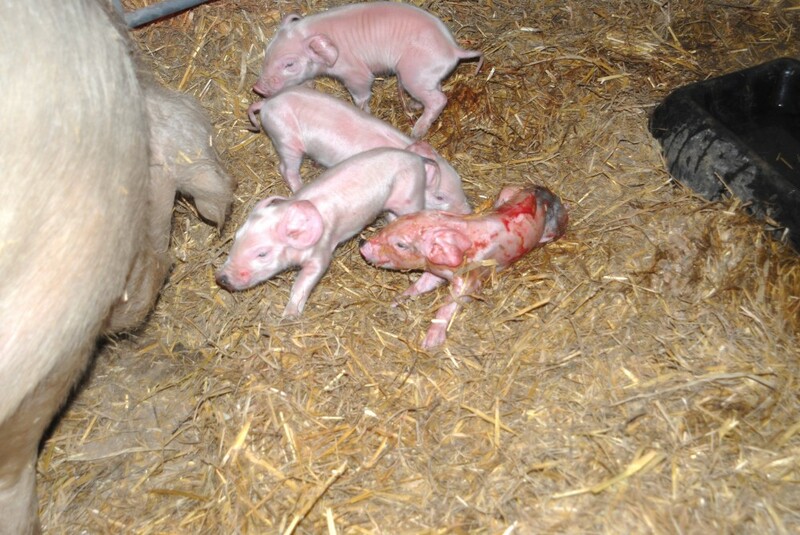 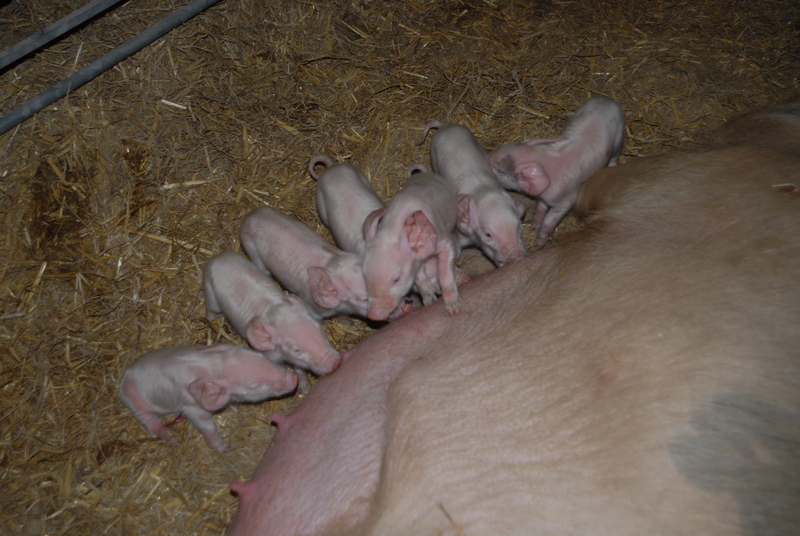 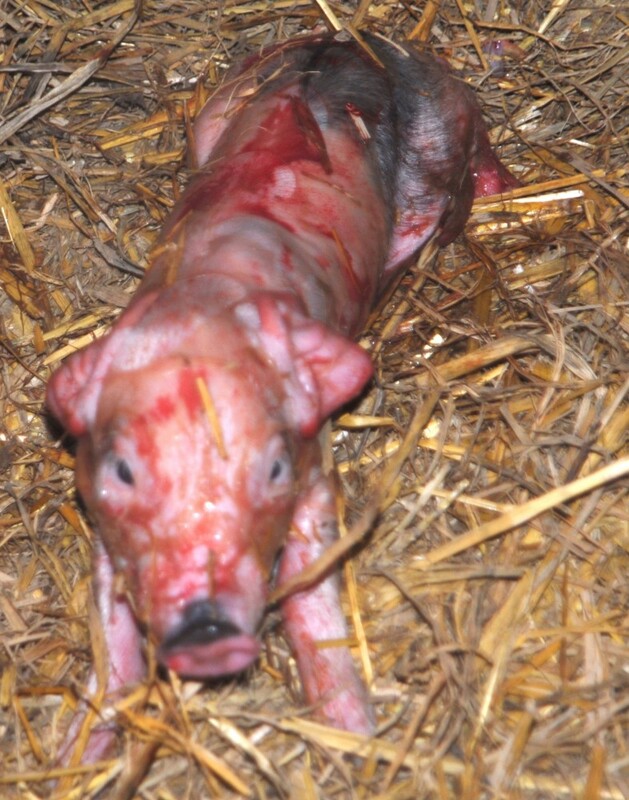 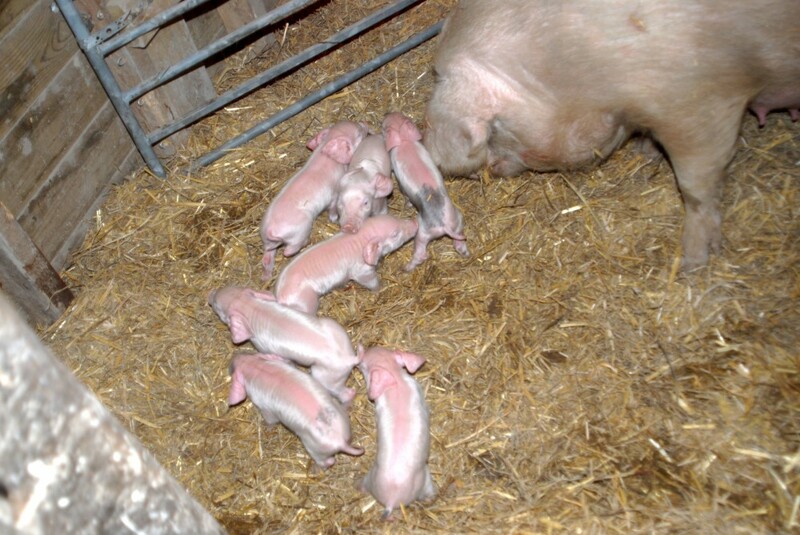 On 8th March 2015 they had 8 little piggies. 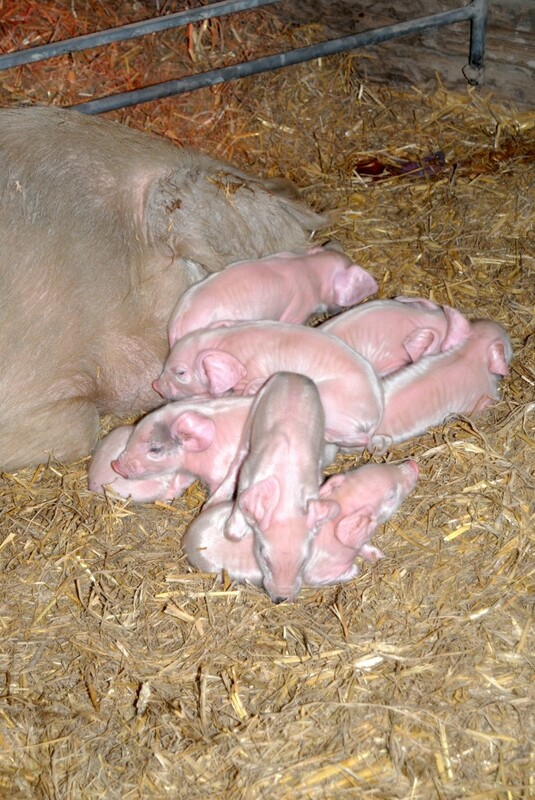 Our favourite was the last one to be born and as he has a black bottom we have nicknamed him “Blackadder”. 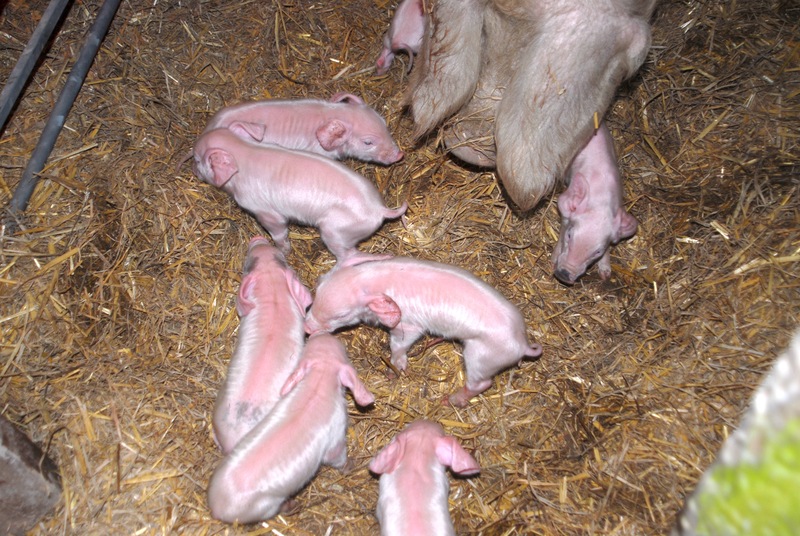 Pink pigs, pity they can’t fly….! 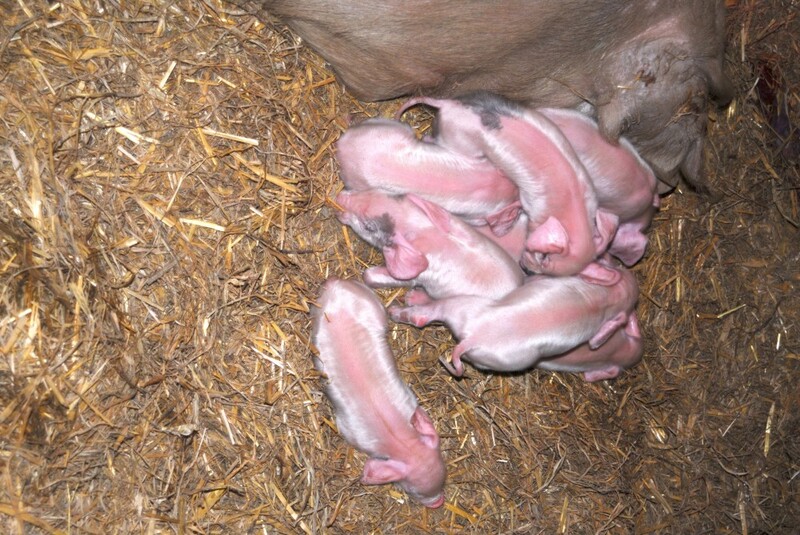 Eight little piggies in a pile.